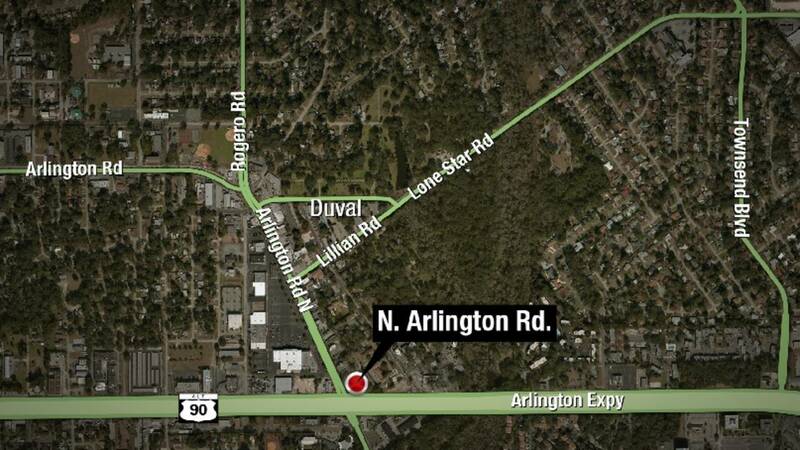 JACKSONVILLE, Fla., - A man was shot early Sunday morning while pumping gas at an Arlington gas station, according to the Jacksonville Sheriff's Office. The victim told officers he was pumping gas about 2:30 a.m. at the Marathon gas station on Arlington Road, just north of Arlington Expressway, when a man asked him for a lighter, then shot him in the abdomen. Police said the victim was hospitalized but is expected to recover. The victim said the shooter was a thin black man wearing his hair in a low Afro. He was wearing a black shirt and a black Adidas jacket and blue jeans with orange shorts underneath. The gunman fled in a silver sedan with a garbage bag covering a window. The car was being driven by someone else. Three witnesses are cooperating with investigators. Police said there are surveillance cameras at the gas station and investigators are checking those. People who live in the area say the violence is getting out of hand. "We have cops around here and everything like that. They really do but I guess it’s just not enough. I really really can’t tell you, it’s just not enough, it’s sad, it really is. It’s really sad," said resident Gloria Wright. If you have any information about the shooting, you are asked to call Crime Stoppers at 866-845-TIPS. Last July, the owner of the BP gas station across the street was critically injured in a robbery and shooting. The victim, 57-year-old Vipin Sharma, survived the shooting, but was left disabled by his wounds and unable to return to work.